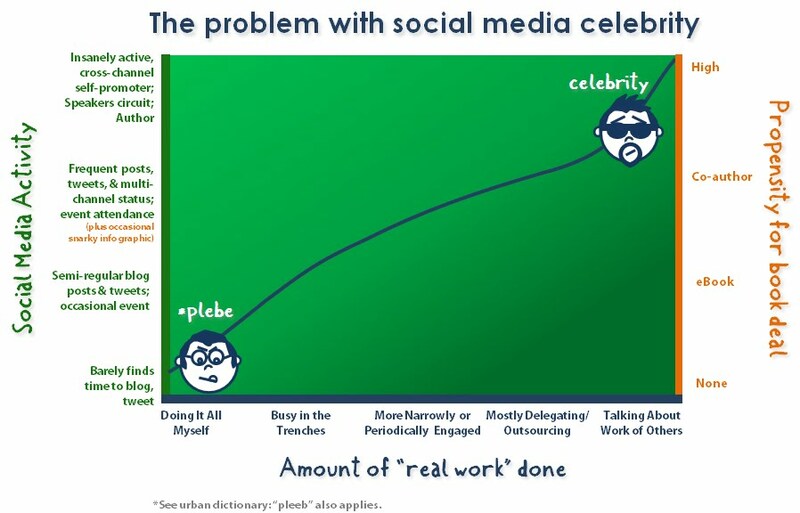 Social Media Celebrity - Infographic of the Day. 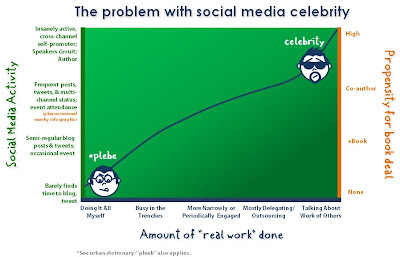 While I'm sure there are some exceptions (and they probably wear superhero capes), I was ruminating on the subject of web celebrity today...while chatting with @Marc_Meyer on Twitter. We both expressed the delimma of being buried in the "real work" and not having time to be more active in the online and offline social grid. Thanks to @geoffliving for reminding me that some of us go through intense periods of intense engagement.